India’s Syro-Malabar Catholics will take over a historic church in Preston that was closed two months ago.St Ignatius’ Church will re-open after the Bishop of Lancaster offered it to Syro-Malabar Catholics. 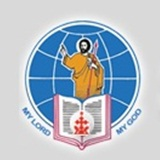 But on New Year’s Eve, Bishop Michael Campbell received a letter from Cardinal George Alencherry requesting a church and presbytery for Syro-Malabar Catholics under the charge of Father Mathew Jacob Choorapoikayil. 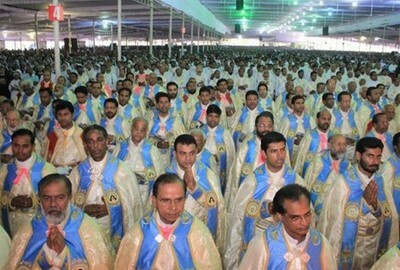 There are an estimated 17,000 Syro-Malabar Catholics in England, with four million worldwide. The Church traces its origins to the Apostle Thomas, who according to tradition travelled to Kerala in AD52. The Church has had a chaplaincy in Lancaster since 2004, and there are more than 100 Syro-Malabar families in Preston. The community has grown out of the local hospital which employed migrants. Fr Matthew added that Bishop Campbell and his predecessor Bishop Patrick O’Donoghue “have been very good to us, have welcomed us and given us our opportunity”. He also said that there would be an official opening Mass announced shortly. St Ignatius is a Grade II listed building with an interior designed by Augustus Pugin. An estimated 140 people attended its last Mass in November. Parishioner Ralph Cooper had said the decision to close the church had come as a “bolt from the blue”.